Thanks to top-notch Americana vocals and guitar work by David Steinhart and plenty of support on Bass from his brother Jeff Steinhart, as well as old-school beating drums by Bob Gannon and Eric Marin on keyboards, there’s a richness to the sound in the Furious Seasons “My Love is Strong” that makes this band fans of top Americana acts the likes of Mumford and Sons and The Lumineers simply must listen to. 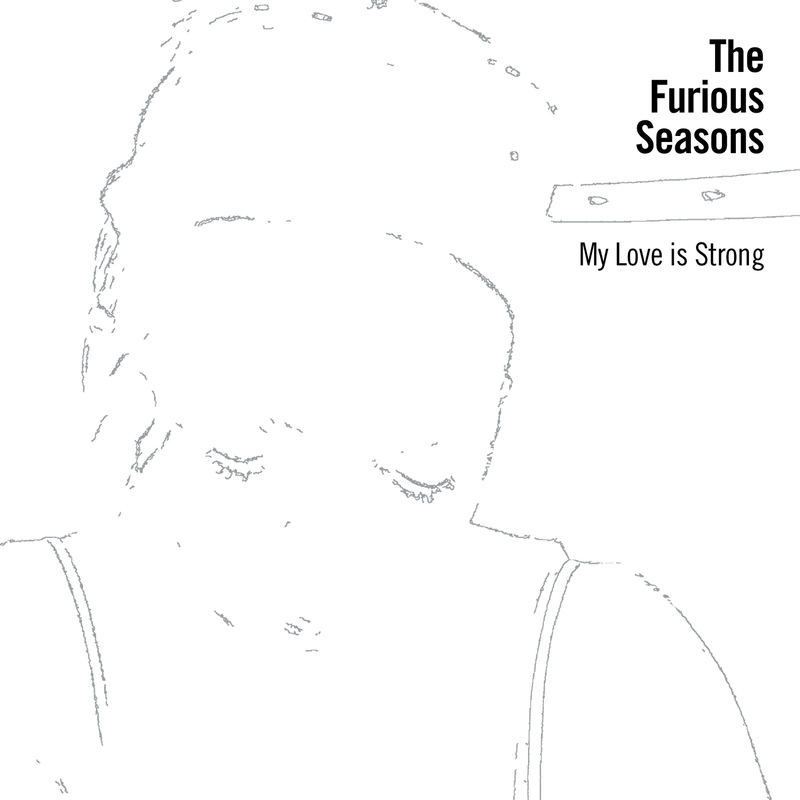 Like a combination of Procol Harum and Steely Dan, The Furious Seasons steal your ears with lyrics that can only be described as sage-like. Talking about life and relationships, David Steinhart’s vocals are as real as can be. The simple rhymes but deep emotions conveyed in a track the likes of “Perfectly,” make him someone you can quickly trust. The nice cascading guitar and bass lines in the track also set the tone wonderfully. Simply put, this is a song to make love to. David Steinhart: My brother Jeff and I have been playing music together since the early ’80s and had a band called Pop Art. We released five albums from 1984-1990 and never looked back. He was in my band Smart Brown Handbag in the 1990s and early 2000’s at different times and is now playing bass in The Furious Seasons. The other band members are life-long musicians with similar stories about playing for years of their own. This is the thing we love to do and we plan to do it for as long as we can. Review Fix: What was it like putting this album together? Steinhart: It was a long process. We used a lot of great local musicians and singers to get a specific feel on each song. Normally my albums are recorded very organically, this time we tried for more polish. Review Fix: Where do you guys draw inspiration from? Steinhart: I love classic American songwriters like Paul Simon, Bob Dylan and John Prine, but I also draw inspiration from Paul Westerberg, Lloyd Cole, Elvis Costello and Paddy Macaloon from Prefab Sprout. New music inspires me as well, my current playlist is heavy on Dawes, The Decemberists and Ron Sexsmith. I love songs that tell stories. Review Fix: How was “Southern Night” written? Is there a story behind it? Steinhart: Southern Night was loosely based on a friend who lost his small business during the recession and then just disappeared. I was trying to paint a picture of so many people who’s life’s changed so drastically in such a short time. The landscape of so many towns became something very different and very depressing seemingly overnight. My nephew Nathan played this very cool Strat part with such heavy delay that it almost sounds like a banjo. Review Fix: What do you think makes your band different? Review Fix: What did you learn about yourself from this album? Steinhart: I learned that I could do things in a different way and come out with a result that I really like. Our drummer Bob Gannon, who also produced the album, brought in a bunch of outside players and took his time with each song. I’m more of a vibe guy so his approach was sometimes tough on me. In the end, I’m glad we did it his way. Review Fix: How would you describe your sound to someone who has never heard you guys? Steinhart: Straight up folk-pop in the Dylan tradition. Review Fix: What do the next few months look like for you guys? Steinhart: Lots of local shows both acoustic and with the full band. We will be playing some shows up north at the end of summer and are just working on an east coast tour for fall. After that, it’s time to think about the next record.